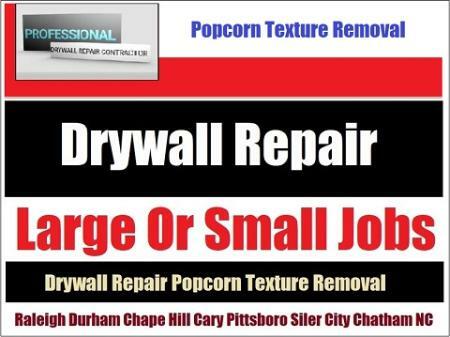 RTP's Top Drywall Restoration Contractor. Call Drywall Specialist a leading hanger, finisher with years of restoration experience. Low prices & free estimates on lg or small repair, reconstruction jobs in Durham, Chapel Hill, Cary And RTP.